The 2018 Land Rover Discovery is a performance SUV that has a comfortable and efficient interior. That means you can enjoy impressive performance and drive dynamics while also having a comfortable and feature-filled interior. The interior has a clever use of space to provide both driver and passengers with great capability. Some of the many storage solutions include upper and lower glove box and an easily accessible central armrest storage with optional innovative cooler compartment. 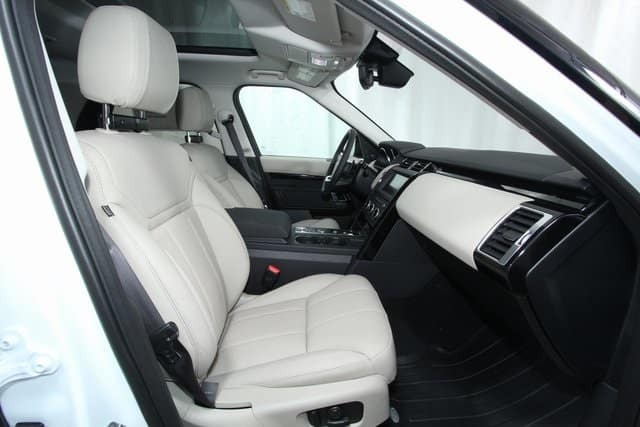 The luxurious interior has premium leather seats with beautifully tailored twin-needle stitching. The interior has authentic metal and wood details. This interior has to be experienced to truly understand how luxurious, comfortable, and capable it is. Visit Land Rover Colorado Springs today to learn more about the Land Rover Discovery. Sit in the luxurious interior and imagine yourself enjoying that luxury everyday. Take a test drive and get to know the performance that is a hallmark of Land Rover. Then choose your 2018 Land Rover Discovery from our super selection and drive one home today.